Fundamentals of DevOps is for anyone with an IT background who is interested in understanding what is DevOps. It will equip you with the basic knowledge of DevOps Technologies in use now. DevOps has grown from being just a buzzword to a serious business decision, that many businesses are contemplating. Therefore, knowledge about this, is necessary to make a clear and a strategic plan to move applications. In this course you will achieve fundamental understanding of what is DevOps. You will learn about DevOps Tools, Automation Models and Security. You will also learn to identify and improve the system of production. It will help you to understand how DevOps can help improve operational efficiency of any organization. This course will be the basis for specializing further in other DevOps technologies. 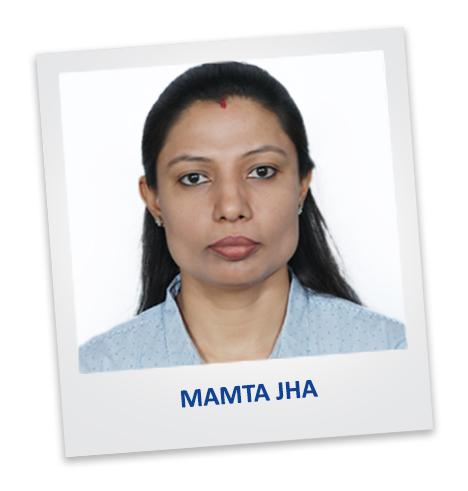 Mamta Jha, Cloud Solutions Architect – Technical, CloudThat Technologies has more than a decade of experience in Telecom domain and has been working in the Cloud domain for last 4 years. She has worked on first ever Cloud RNC (WCE – Wireless Cloud Element) which used VMware as a Hypervisor and VM Manager provider with their ESXi and vSphere products. She was a part of the pilot project of Alcatel-Lucent in moving the complete wireless domain to the Cloud. Delivered instructor-led online training in more than 28 countries. Most popular courses have been revised more than 15 times. Incorporated in March 2012, CloudThat Technologies provides Training and Consulting services in Cloud, Big Data & IoT technologies for mid-market & enterprise clients around the world. With expertise in major Cloud platforms including Amazon Web Services and Microsoft Azure, CloudThat is uniquely positioned to be the single technology source for organizations looking to utilize the flexibility and power Cloud Computing & IoT provides. CloudThat is focused on quickly empowering IT professionals and organizations with leveraging Cloud, Big Data & IoT. Co-founded by Bhavesh Goswami, an ex-Amazonian who was part of the AWS product development team and Himanshu Mody, who brings in 17 years of experience in IT Training and Consulting business allows us to deliver high quality training and consulting services with best practices. Till date we have trained more than 7,000 IT professionals and conducted corporate trainings for some of the fortune 500 companies which includes Accenture, Infosys, Fidelity, HCL, Intuit, GE, TCS, HP, SAP, Oracle, Western Union, Philips, Flipkart, L&T and Samsung, just to name a few. We have presence in Bengaluru, Mumbai, USA & UK, but offer on-site and pre-scheduled public batches in different IT centric cities of India and Overseas. CloudThat is an AWS Consulting Partner, Microsoft Silver Learning Partner, Microsoft Silver Cloud Platform Partner, Google Cloud Platform Partner, Red Hat Certified Training Partner and MongoDB Ready Partner. Great learning. The trainer was very helpful and was willing to provide as much knowledge transfer as possible in short duration. Also, the extra lab exercises were good. Overall good experience. Superb Training and learning by citing very good examples and news happening very recently. The trainer was well aware about the content and was very efficient in helping us understand the fundamentals. Very helpful training for someone who doesn't have prior knowledge about DevOps. This was very useful and informative. Learnt a lot of new things.